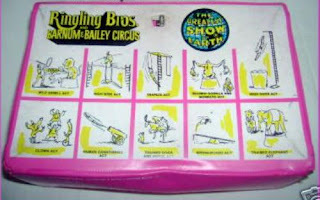 Children's Records & More: JUST GOT SOME NOSTALGIC GOODIES!!! Cool stuff! I look forward to seeing whatever form of these you'll be sharing here or elsewhere! Wow! 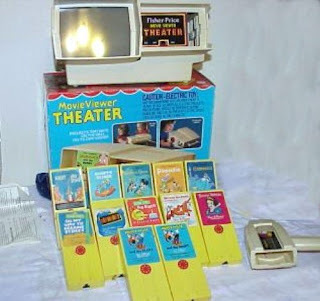 I had the Fisher Price Movie Viewer, as well as the Lonesome Ghosts and Brave Little Tailer cartridges. 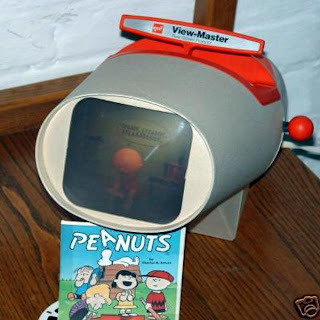 One of the best toys I ever had. Thanks for sharing! Stayed tuned Jon. 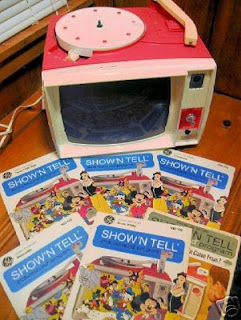 I know for sure I'll be sharing the Show 'n Tell records and hopefully the filmstrips. This one comes with "The Lonesome Ghosts" cartridge, but not the Tailor one. "The Lonesome Ghosts" is one of my all-time favoriteDisney cartoons. I kind of over spent my budget for the month...lol. So I'll be looking for other cartridges next month for it. I had a bid on a large set, but it got way out of my reach. 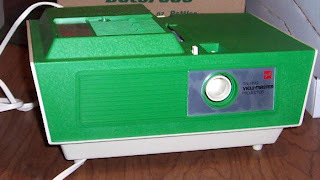 Dave, I got my GE Wildcat portable stereo record player for $50 at Goodwill so I can play my favorite Disneyland albums or other types of album you would like. It has three speeds such as 33, 45 and 78 as well as size selector including 7, 10 and 12 in. It came with a 45 adapter and it has a reject switch where you can drop a record before it plays. It also comes with a tonearm with a GE logo. This GE Wildcat is in excellent condition and it works great as well as it came with an original needle. I found this pic here. Man I've had so many things going on in my life since this post I never have had a chance to scan or rip any more of the Show n Tell sets. I've seen the Wildcat come up for sale quite often on ebay BM. It is a nice looking player. 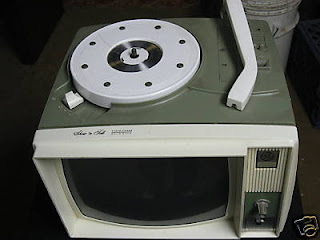 I was able to get a 4 speed turntable off ebay about 3 years ago. It's an Britsh model called a Glenburn. I found an online site that sells needles for it too. BTW - I now have 2 working Show 'N Tell Viewers. 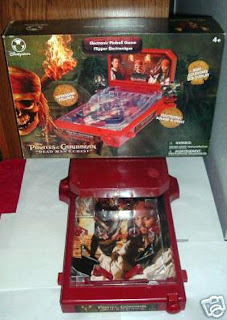 I found one for $30.00 on ebay, and the other one someone sent me for the cost of shipping which was about $12.00. I just hope my Grandkids will find it fun to use as one of the sets will be going to my MIL's house for them to use when they come to visit. 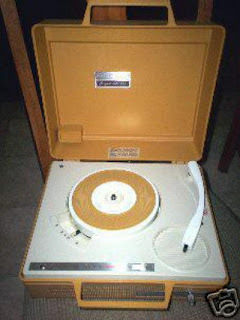 Then the Disney Record Player I found will be going to the kids to have at their house to play See Hear Read records on.